Google is always known for doing some pretty awesome stuff. They’re also known to ‘hide’ little games or fun tricks within their webpages. Although some of these are pretty cool, they don’t last forever. Usually they’re only around for a limited time before Google comes out with something new. Popular things in the past have been searches like ‘do a barrel roll’ and the webpage would do just that. Back in 2011, Google even celebrated the 30th anniversary of Pac-Mac with a playable version of Pac-Mac in the Google Logo. 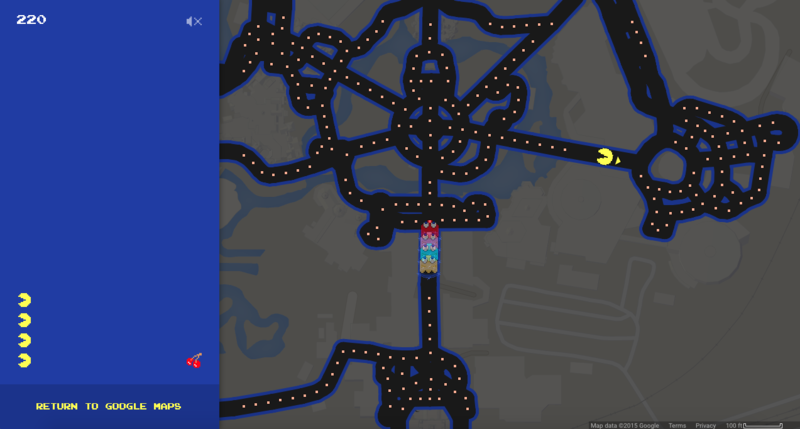 Google has rolled out a pretty cool feature with Google Maps that allows you to play Pac-Man pretty much anywhere in the world, including some of your favorite theme parks, like Disney! We thought it would be cool to check out the game using Disney’s Magic Kingdom. 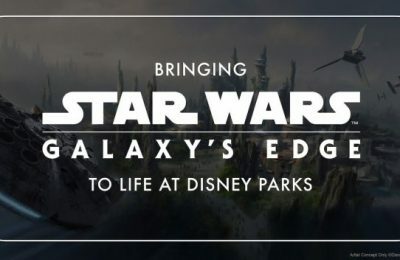 In the photo above, you can see the major pathways in the park have now become part of the game board. 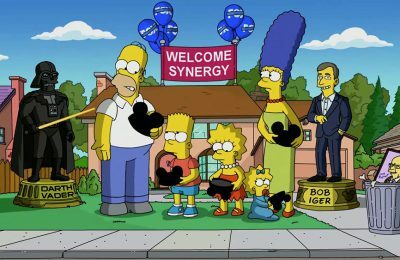 You can play using several other theme parks. We checked out Universal Studios Florida, Magic Kingdom, SeaWorld Orlando, Cedar Point, Busch Gardens Williamsburg, and Hersheypark. While it wouldn’t seem to work with SeaWorld Orlando, Busch Gardens Williamsburg, or Hersheypark, there are literally thousands of places you can play this crafty little game at. You can play it in just about any location where there is a street, like your neighborhood. To get to the game, all you have to do is open Google Maps (click here to open Google Maps). Search for any location you’d like to play Pac-Man on. In the bottom left corner look and see if you can see a Pac-Man game icon. If it is visible, click it and you can follow the directions to play. If it’s not showing up, try zooming in a little bit on the map and looking again. Be sure to follow us on Twitter @BehindThrills, Facebook /BehindThrills, and Instagram @BehindThrills.